Faber Rangehoods: Kitchen Ventilation 101, CFM – what is it? The answer is 300 CFM, but why (other than it’s Minnesota code)? 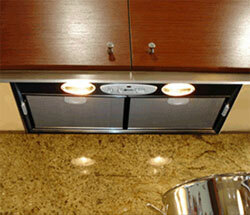 Faber Rangehood‘s blog answered that question, plus offered a good explanation of the misunderstood CFM. 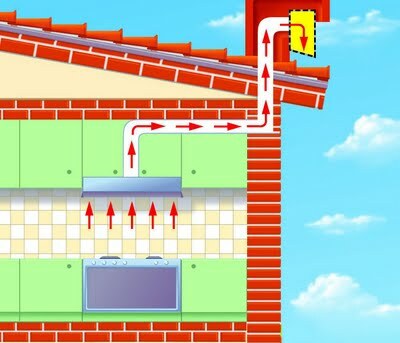 Also, a situation of negative pressure could also occur when too much air is pulled out of the home and it is not replaced by air from the outside. In today’s construction the homes are becoming more and more air tight and when too much air is pulled out of a home, you need to sometimes “make up” for that lost air by pumping outside air into the home. In colder climates this is a huge issue, in most parts of Canada there are laws in place about maximum cfm’s before a make up air system has to be installed (typically 300 cfm is the threshold). Rumor mill blog Appliance Advisor reported that Sub-Zero and Wolf ditched their carbon- and platinum-finish lines, along with several handle options. I previously blogged about the distinctive look of carbon. I still can't get over how happy this family is about its carbon Sub-Zero appliances. Guess it’s not for everyone. 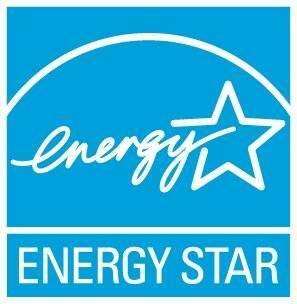 The New York Times reported an internal audit conducted by the Deparment of Energy concluded the Energy Star program needed tighter tracking of appliance manufacturers using the energy-efficient label. Some believe this wakeup call will lead to tighter standards and perhaps will supply the push needed to create a “super star” program IDing the top 5% of energy-efficient appliances. Warners’ Stellian, in cooperation with Minnesota Greenstar, already promotes distinction of appliance energy use by tiers. Do you really need two garlic presses? If you think you do, you need some serious help. I found just that help on Hello Kitchen (via Lifehacker). 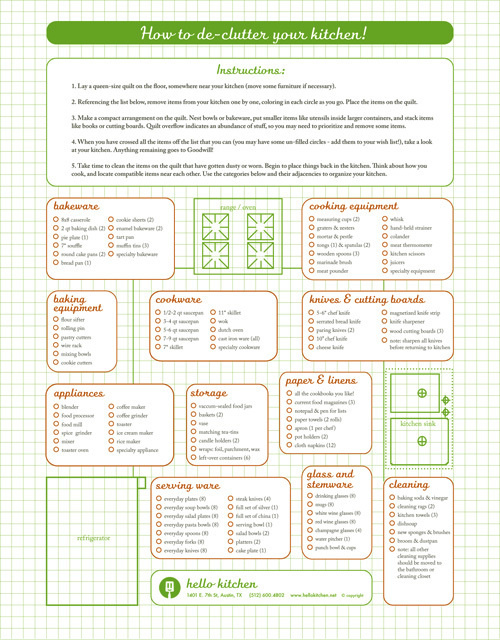 Print out the cute and practical kitchen checklist to separate necessity from redundancy. Pull each item to a quilt spread near your kitchen, and donate what remains. Details are still being hashed out by the Minnesota DOE on the $5 million “dollars for diswashers” Energy Star-rated appliance rebate program, funded by federal stimulus program. The program limits one appliance rebate per household, meaning about 25,000 households will get a rebate. If you’re contemplating a purchase and you don’t know what to think or if you just want to know more about the program, please call me at our corporate office (Google it) or contact me at jawarner (at) warnersstellian (dot) com (sorry, don’t want any spammers!) with any questions about the forthcoming program. I’ll e-mail/call you with more details as they’re finalized.